Please check back soon for upcoming tour dates! 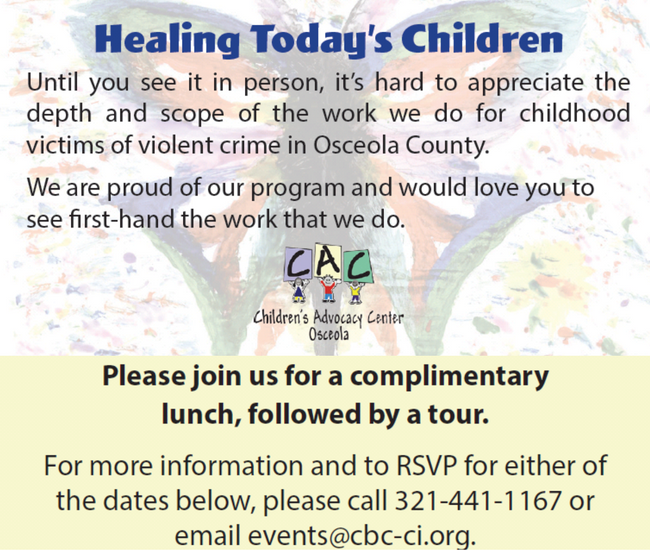 We invite you on a lunch and tour of our facilities to learn more about the life-changing work we are doing to heal children who have been victims of violent crimes in the Osceola community. An RSVP to attend the tour is required. 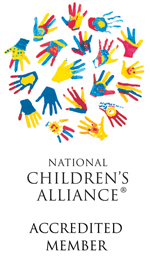 CAC Osceola works diligently with each family as they navigate the difficult journey that begins when a child is suspected of being abused. While the case is investigated, prosecuted, and the family begins the healing process, our staff is there with them every step of the way. We help our families through the complex systems involved in child abuse investigations and ensure they have access to local resources that will prove beneficial during such a difficult time.